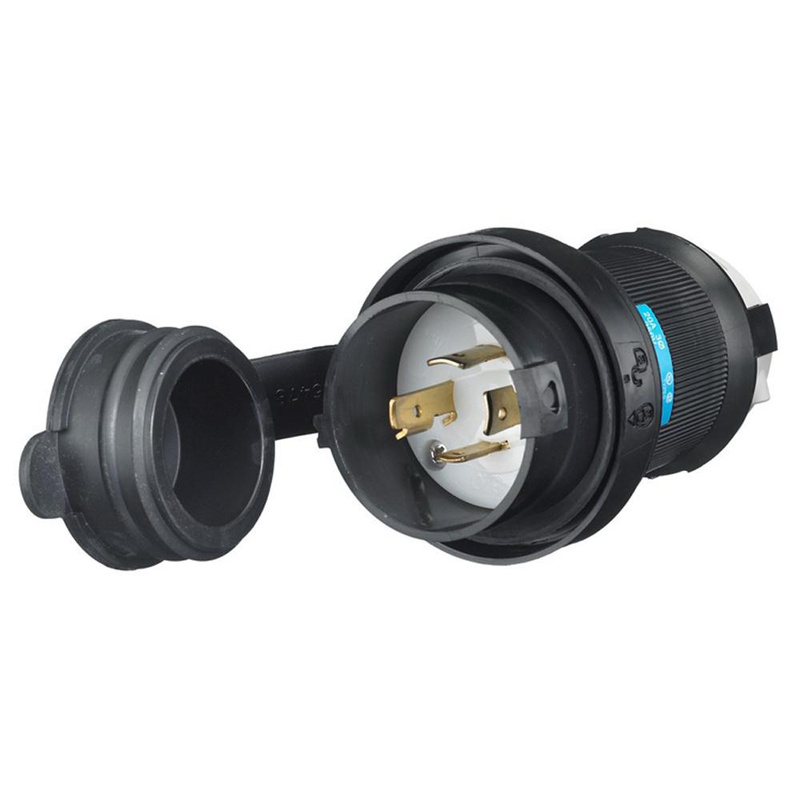 Hubbell-Wiring Twist-Lock® Watertight Safety-Shroud® 3-Pole 4-Wire Polarized plug accommodates wire of size 12-AWG. It has a cord range of 0.35 - 1.15-Inch. Grounding plug in black/white color, has valox impact modified PBT construction. It withstands current rating of 20-Amps, power rating of 3 hp and voltage rating of 250-Volt AC. This plug has brass contacts for optimal conductivity. It withstands 2000-Volts dielectric strength. Plug measures 2.94-Inch Dia x 4.5-Inch and withstands temperature rating of -40 to 75 deg C. This plug virtually eliminates the bent and broken blades to provide longer equipment life. This plug has NEMA L15-20P configuration and IP66-degree of protection. It has V-0 flammability rating per UL94 to withstand harsh environmental conditions. Plug is UL listed, CSA certified and meets Federal specification WC-596.